To help Deski users and reduce their burden / cost SAP Business Objects BI 4.1 released Desktop Intelligence Compatibility pack (DCP) for time being solution. Desktop Intelligence Compatibility Pack (DCP) does not add Desktop Intelligence capabilities to the BI4.1 and won’t include any new features for any upcoming release of the BI4x. Note: Desktop Intelligence Compatibility Pack (DCP) will not replace the need of converting DeskI reports into WebI reports, but will enable you to shorten the upgrade into BI4.x and plan your conversion in later time frame. When you have large number of Desktop Intelligence Reports it is strongly recommended to use the Desktop Intelligence Compatibility Pack (DCP). With the help of DCP you can upgrade to the BI4.1 platform and use your Desktop Intelligence reports without keeping an XIR2/XI3.x server running. Manage your users and documents within the CMC of SAP Business Objects BI 4.1 Platform. Users have the facility to schedule their Deski reports through Normal windows Task Scheduler. Since the Desktop Intelligence toll removed from the BI4.x product, below are the restrictions of using DCP. 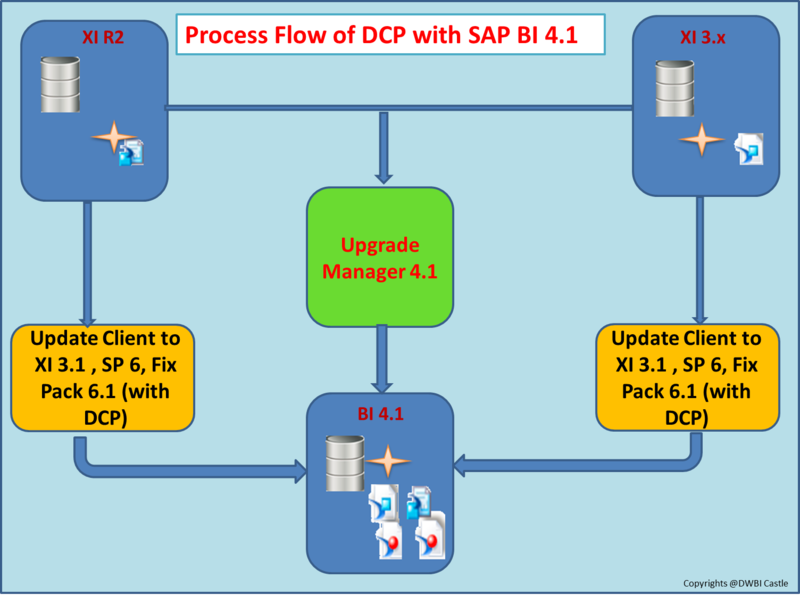 DCP will work only Bi 4.1 and it will not work in BI 4.0 and you have to upgrade your BI 4.0 to BI 4.1 to leverage the use of DCP. In BI 4.1 Desktop Intelligence reports will not be visible for users in Launch Pad and it will be accessible only through CMC for administrators. Scheduling of Desktop Intelligence reports in BI 4.1 will not work and it can be done through windows scheduler. You can implement you Deski in VMWare to avail network scheduling through windows scheduler. To get the Windows Task Scheduler Feature, you have to install you DCP in Windows 7 sp1 and above. DCP is the very good package for whoever is having huge number of Deski reports and it’s will help to plan their migration / upgrade without having any issues. For more details about DCP and their installation process please refer the SAP guide in the below link.